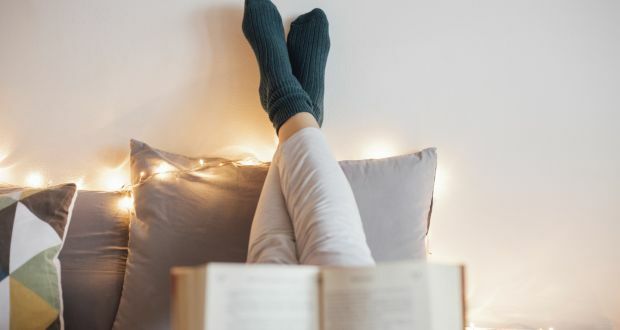 BleachHouseLibrary.ie: My article from irishtimes.com where I ponder the Top Reads of the Year lists. My article from irishtimes.com where I ponder the Top Reads of the Year lists. Article originally appeared on irishtimes.com on 16 December 2016. Top Reads of the Year lists are popular but where are bestsellers? At the end of each year the book-loving community begins to rub its hands with glee as the Top Reads of the Year lists commence. We all glance through the lists, hoping to see a title that we also adored and maybe share the links on social media with added comments like “I’ve read 20. How many have you read?” or “I TOLD you these were great books, right?”. However, something has happened over the past few years. The lists are becoming a bit obscure and predictable. Dare I say it, a bit arsey? They tend to be a feature-style compilation of published authors or journalists, most of whom know each other. They lean toward the literary fiction genre, with a smattering of historical non-fiction. I may be wildly off-base here, but after reading three weekend broadsheets I feel a little let down. A large proportion of the books mentioned were repeated, despite there being thousands upon thousands of new releases each year. There were shout-outs for prizewinning novels, “worthy” novels and random non-fiction titles that could take a whole year to read. My question is, are these really readers’ choices? When these not so random contributors were asked for their favourite reads of 2016, did they instinctively choose a book that they devoured in one sitting, or did they have a little think about how it would make them appear if they were to choose a more “suitable” title? For example, would an academic admit to reading Lee Child whilst tucked up in bed? Or would the winner of a prestigious literary award announce that they loved mainstream historical fiction with a bit of romance thrown in? When Graham Norton’s debut novel, Holding, was published in October this year there were gushing reports of how he managed to get it just right, capturing the atmosphere of rural Ireland in a style reminiscent of Maeve Binchy. But how many of these reviewers had read Maeve Binchy? And did these same reviewers not previously say that Donal Ryan had captured rural Ireland in a unique and unequivocal way in his novels? Had Holding been written by an unknown female writer, would the reviews have even appeared in the national newspapers? Is there an element of liking what “should” be liked rather than liking for the enjoyment factor? I read, on average, 200 books per year. Contemporary fiction, literary fiction, crime fiction, female fiction, historical fiction, non-fiction. Basically everything except fantasy and sci-fi. I have read some amazing books this year, and some truly dreadful ones too. I have swallowed some whole, in one sitting, whilst others have been a little like pulling teeth. I treat each one equally, no matter who has written it and try to avoid reading others reviews until I have read it myself. I often receive a book months in advance of publication and can usually spot a potential bestseller in a very short reading time. When I see these books on the bestseller lists, I feel a little proud that I read it before anyone else and that I had foreseen its success. Then, the end of year lists are published and these bestsellers and popular reads are nowhere to be seen. They have vanished. Their paperback selves are cringing with embarrassment on the general fiction shelves of bookshops, nationwide. In their stead are the aforementioned “arsey” titles with brand-new stickers glued to their, often hardback and expensive, covers. Book club members are tweeting each other photos of their latest book hauls, which now include the “recommended by [Insert name of author/journalist/literary critic]” titles. These books shall be displayed on coffee tables throughout the country, with visitors noting their existence and mentioning that they too have purchased this highly recommended book. But will all these people read these books? Will they sit for five, six, 10 hours and savour each award-winning word? Will they escape into the world of insightful genius and sigh with contentment when they turn the last page? Perhaps they will. But will many of them throw the book down with glee and declare “That was just amazing! Bloody hell! What a book!” and pass it to the person sitting next to them and say “Read this! Now! I’ll watch you as you do!”? It’s doubtful. This book has stayed with me since I turned the last page. Frank is one of the most memorable children in contemporary fiction. A foster child is searching for his forever-family and yet the grown-ups forget to ask him what he thinks about it all. Insightful and heart-warming. A young boy and an elderly lady become unlikely friends. Warmth and affection seep into the reader’s hands. One mistake sees a woman’s life fall apart. Very hard to put this one down. A harsh and cutting look at how a child can be misled and abused without even noticing it. Shocking and very real. A stunning debut with echoes of John Steinbeck. Meticulously written and has a lingering effect. Quirk is back and is as dark and troubled as ever. 1950s Dublin jumps off the pages of this crime fiction novel. Mysterious goings-on onboard a cruise ship. A read-in-one-sitting thriller. FBI Agent Ren Bryce brings her wit and sassiness back with a vengeance in this tale of murder and mystery in small-town-America. An atmospheric delight, with a Mrs Danvers-like character who sends shivers down the spine. A gentle tale of 1920s London and all its glitz and glamour. A real lose-yourself read. A dual time page-turner, set on Dublin’s famous street. Light and entertaining with a Downton Abbey feel. An understated look at the tense relationship between a mother and daughter. Powerful. Powerful prose and exquisite narrative make for a stunning read. Humorous yet insightful look at a modern woman’s approach to feminism. Some laugh-out-loud thoughts from the delightful Irish author and columnist. Inter-connecting short stories set in Northern Ireland. The characters are real and raw, whilst the writing gently envelopes the reader. An anthology of essays from black, Asian and Minority Ethnic writers living in Britain today. A eye-opening experience for any Caucasian living in their country of origin who would never have had to deal with the feeling of being different. Definitely a book to check out. Lingers with me months after reading. Book Review - 'The Last One' by Alexandra Oliva. 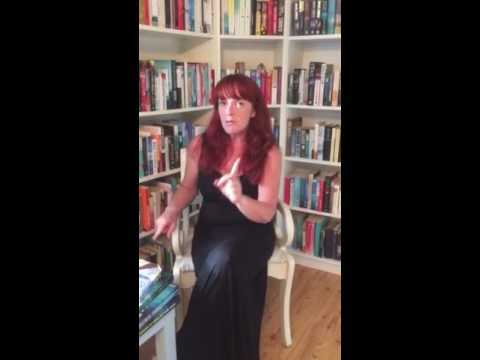 Book Review - 'Falling Softly' by Maria Duffy.